Lauren Andresen says she can make more money as a private tutor than she would as a teacher. Lauren Andresen considers herself a teacher, but she doesn't have a classroom. She teaches from coffee shops, but her students can be thousands of miles away. Andresen is a private tutor. She gives lessons in person and sometimes on Skype, to students ages 5 to 75. Students find her using online tutoring apps or websites like Wyzant, University Tutor or Varsity Tutors. The services are often used by teachers wanting extra money on top of their full-time job. But for people like Andresen, tutoring is the full-time job. "If a person can handle a classroom, I almost 100 percent recommend that the teacher work at a school, if they feel like they can make the most effective change in a student's life in that learning environment," she says. "But a lot goes into that, and not every educator wants to do that." There are drawbacks to being a private tutor. There's less certainty. The availability of clients depends on the season. And Andresen says the business can change depending on where you live. Still, Andresen makes more money per hour than she would as a public school teacher. Her schedule is more flexible, and she can choose how much time and energy to put into it. She's able to gain clients by having a high rating, based on feedback from students. Tutors can gain credibility by having a four- or five-star rating, much like how apps like Uber and Lyft work for drivers. So can full-time private tutors make a decent living? "Oh yeah," she says. "Ohh yeah." Andresen wanted to be a teacher since she was a teenager. She's been in education for more than a decade since graduating from college, taking on nontraditional teaching jobs, mostly private tutoring. She tutors about 40 percent of her clients exclusively online, she says. She moved to Spokane about six months ago from California, yet she still occasionally works with clients from California via Skype. "It really has changed the face of private education," she says. "Twenty, 30 years ago, you basically had to find a retired teacher to come help your student, or students had to stay after school and meet with his or her own teacher." Instead, many of those full-time teachers use tutoring apps to make extra money. Jared Rand founded an online tutoring service called The Knowledge Roundtable in 2012, in part to help gain more clients for himself as a private tutor. Now, he says there are more than 28,000 tutors registered. "It's absolutely, mostly people doing it as a side gig. It's people with a full-time job looking for extra money — a fair amount are teachers," Rand says. 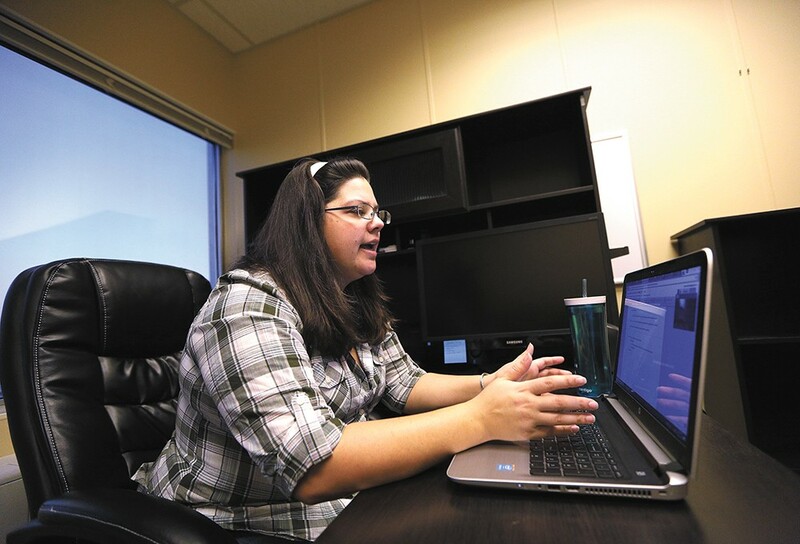 The flurry of online tutoring services has changed how students look for tutors. Before, students would have to rely on someone else to refer them to a tutor, Rand says. Online services make it easier for everyone to find a tutor. Immigrants, especially, are more likely to use networks like Knowledge Roundtable for help with English. Andresen says she's seen full-time teachers switch over to doing private tutoring as their only job. Usually, she says, it's because they need more flexibility with their time. "A lot of times it's, 'I just had a kid and need to be able to work from home, and need to do online tutoring,'" Andresen says. "Or they're done working in an actual school, but they need income, or don't want to just drop all of their activity." While online services allow for more mobility, Andresen says that if tutors want to make a lot of money, they need to move to a big city. She says she had more clients in San Francisco than she does now in Spokane. Even though she can still tutor clients from California, many prefer the sessions to be done in person. The business of online tutoring is seasonal, which can make it a more unstable source of income, she says. And the time that private tutors spend preparing lessons or gathering materials doesn't factor into what they're paid. This isn't the kind of teaching Andresen envisioned as a teen, but she says the goal is the same.